Anti-nutrients – have we gone too far? Dietary advice about avoiding so-called “anti-nutrients” abounds. Paleo? GAPS? Elimination diet? Whole 30? The Ayurvedic texts give advice for proper preparation and cooking methods for every food, every body, and every condition. Why? Because the foods highest in “anti-nutrients” happen to be the foods highest in fiber, micro-nutrients, and other disease-preventing compounds, and anti-nutrients can be inactivated with proper food preparation. Even more radical? Anti-nutrients may have some benefit! Many of the reasons to avoid specific foods and whole food groups lie in the body’s inability to digest and unlock the nutrients contained in foods – IF the food has not been properly prepared. In the case of legumes, lectins and phytic acid, often called “anti-nutrients”, are 1. inactivated by soaking and proper preparation and 2. are broken down in the presence of healthy gut bacteria (which Ayurveda calls healthy agni or digestive capacity). Ayurveda recommends soaking beans, soaking grains, and soaking nuts prior to thoroughly rinsing then preparing with appropriate spicing and cooking methods. This wisdom is often lost in our modern approach to food prep – faster is better, grab and go – and our collective suffering from digestive disturbance and resulting patterns of disease is the focus of the rapidly expanding sub specialty of internal medicine known as gastroenterology, a title so common we are subjected to endless commercials about when to visit these docs. Here is a more holistic, and Ayurvedically sound approach to grains and legumes, presented from a western nutrition perspective. Bravo. 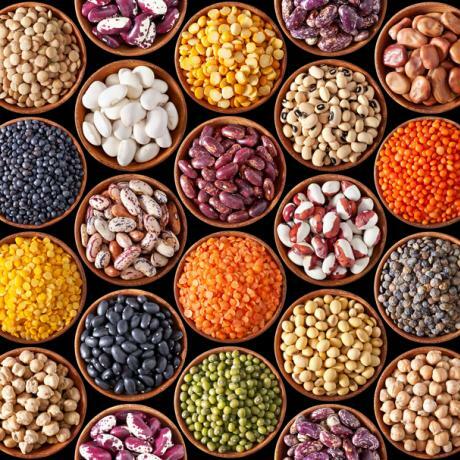 Read the full article In Defense of Legumes on the Healthful Elements blog.